Students in New Jersey are taking new controversial tests for the first time, and some parents and educators are not happy with the Partnership for Assessment of Readiness for College and Careers (PARCC) exam. The test is for students in 3rd through 11th grades, but some students can opt out. In one district in Middlesex County, approximately 30 percent of the students did just that, and about 1,000 opted out in Livingston. At Allendale High School, about 250 students declined over what parents say is a ground swell of concern about the overall objective of the exams. 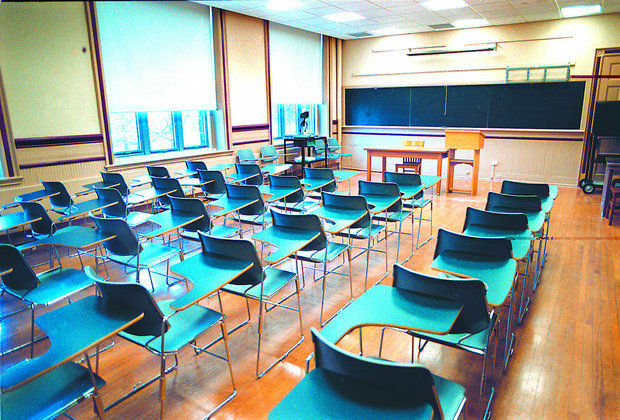 And according to reports, 1,000 students have opted out of testing down in Livingston. Many say the students are too overwhelmed with testing, adding that the idea of a well-rounded education is being pushed aside because the testing is being used to both rate students and evaluate teachers. Some districts are allowing kids to refuse the test as long as they bring in a letter from their parents, while other districts dropped midterms in order to place the test into the curriculum. But many of the students taking the test say they weren’t overwhelmed by the material. Critics say the test serves no real educational purpose. State lawmakers are considering a number of PARCC-related measures, including one that freezes the use of high-stakes standardized test scores for three years, to enable this experimental test to be proven effective. Protests over the PARCC test reached a new high Tuesday as hundreds of kids from Rio Grande High School marched up Coors Boulevard to West Mesa High School. Students from Rio Grande High School were looking to make a statement. Hundreds of students bottled up traffic and spoke out against the PARCC test. Some of the students were heard chanting an obscene word. “I feel like this PARCC test is really, really stressful,” Angelica Moriana, a freshman at RGHS said. 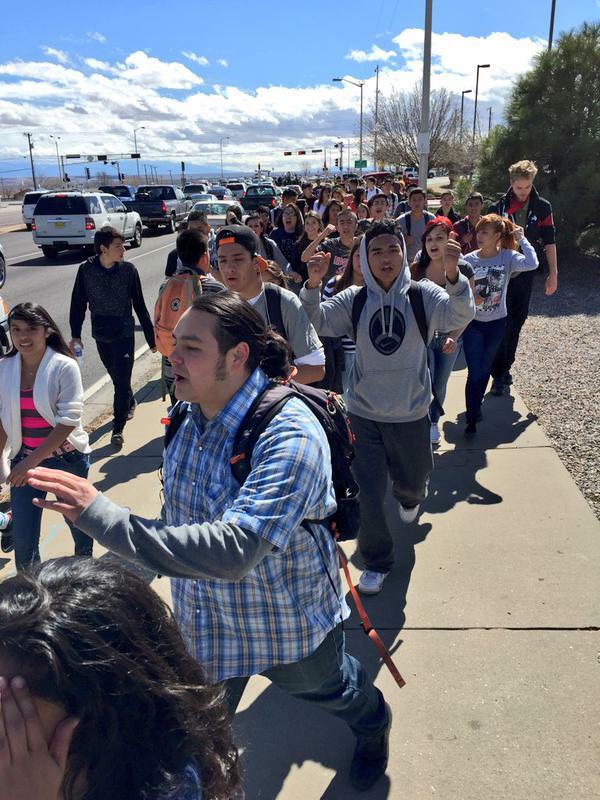 KRQE News 13 was there, walking alongside students as they made their way to West Mesa about five miles away. At times, KRQE News 13 smelled marijuana and heard plenty of profanities about the test. Tuesday marked the second day students at Rio Grande have protested PARCC, the new standardized test used to grades schools and teachers. APS police kept a close eye on the crowd. “They are making us take a test to graduate that no one can pass even the teachers,” Isai Magia said, a RGHS freshman. Previous Post: Are the Common Core Standards Illegal?